I just added a new page – “Specialty Sales Items” – to my blog pages. This page will feature specialty items that I have for sale. There is already one item on the page. 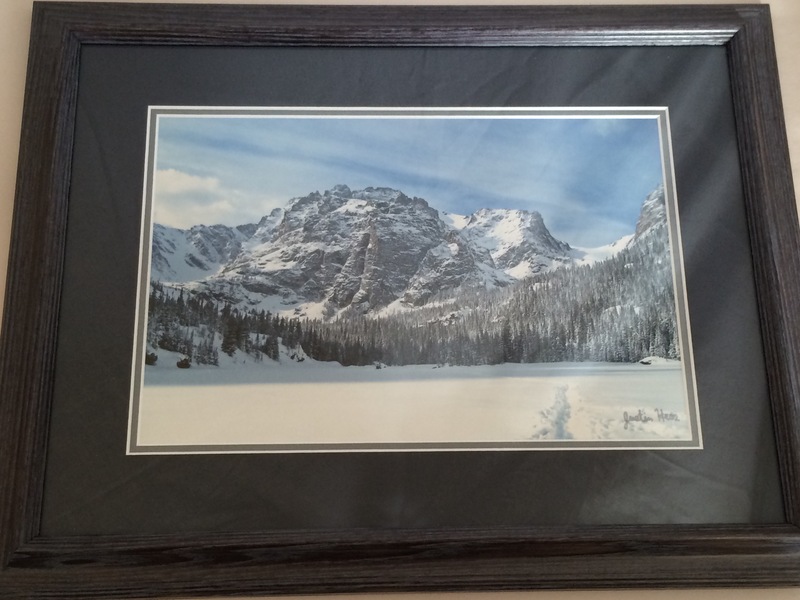 The item that is currently for sale on the Specialty Sales Items page is a one-of-a-kind (the only one that I have) framed Loch Vale Snow print. It is an 8″ x 12″ print with a double matte and high quality UV protection glass. It just needs a wall to hang on. Email me – justin@justphotographin.com – for more details if interested in purchasing. Check back on my blog, and the new Specialty Sales Items page for more posts and items. I am excited about some of the projects that will become available as they come to completion! Right now, I am working on a 2016 calendar that features Poems from a local poet. The calendar should be available for pre-order fairly soon, and is expected to be ready around May or June.